The holidays are such a busy time for me and finding the perfect gift for that close friend, mother, MIL or sister is elusive every year for me! But this year I have the perfect gifts thanks to Powder & Jade! Their delicate, personalized and homemade jewelry helped me quickly find the perfect, customized gifts for all the women on my list! I really love the simplicity and beauty of their jewelry and the personalization options they offer are such a special touch! Plus, I love supporting and spreading the word about small businesses and handmade gifts! 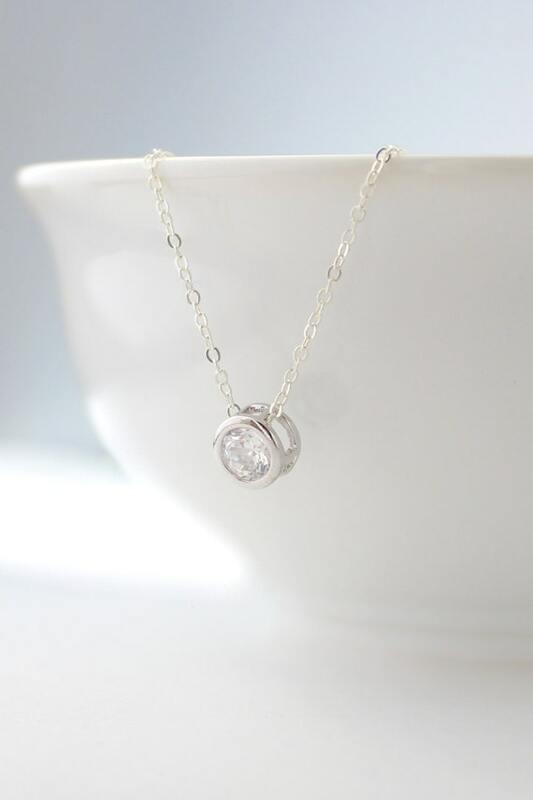 This delicate silver cubic zirconia circle pendant necklace is on a sterling silver chain and is gift-wrapped with note in box and name tag on outside of box! I love the little message that is on the inside of each box! 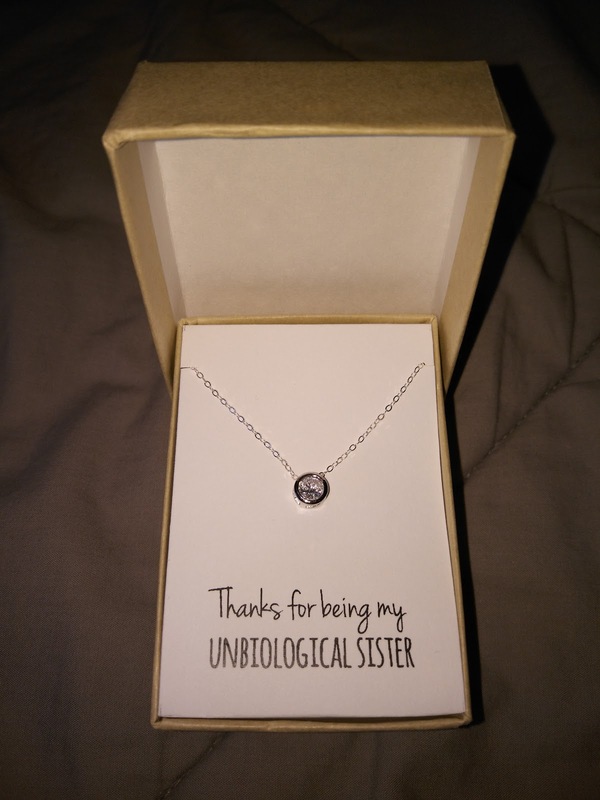 It really personalizes the gift whether it is for a friend, mother-in-law, mother or sister! 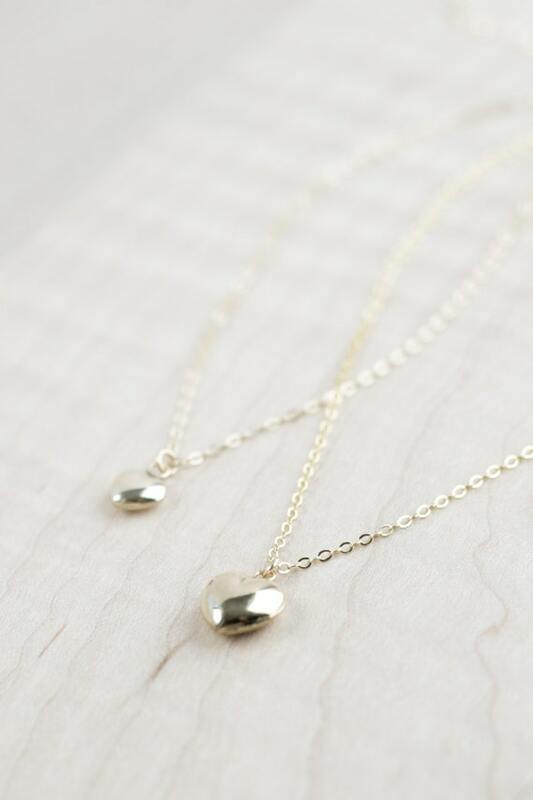 The Sterling silver chain and findings are not just plated so they are perfect for sensitive skin and then the cubic zirconia and rhodium plated over brass pendant make it an affordable but beautiful gift idea! Moms can be hard to buy for and so can daughters! But this year, I am so excited to give my daughter this beautiful necklace set! She LOVES wearing necklaces like her mommy and now we can have a matching set! It will be so special every time we wear them together! 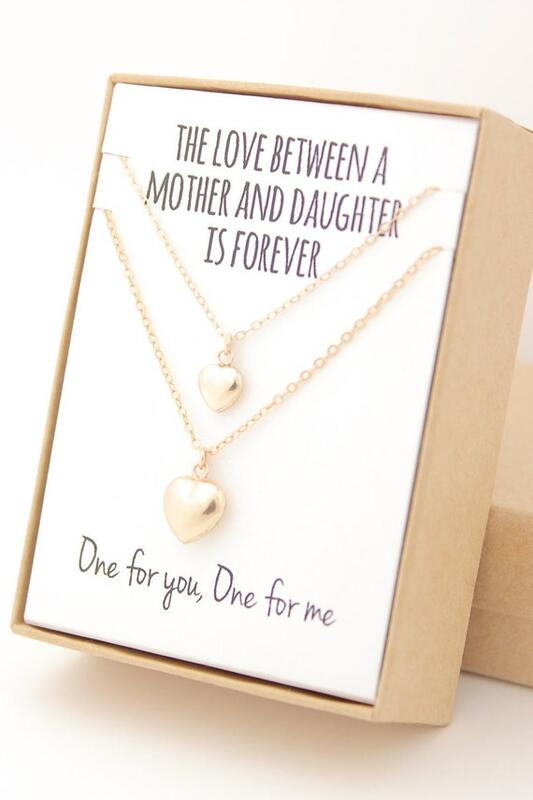 This set includes two tiny gold heart necklaces (one for daughter, one for mom) and is also gift-wrapped with note in box and name tag on outside of box. The message on this set is so beautiful - I am definitely keeping the box as a keepsake as well!! and gold-filled hollow heart charms (these are small and light but beautiful and good quality). • If you would like a different length (up to 20") for either necklace, they will work with you! 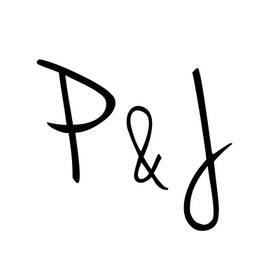 I can't wait to give such special, personal and beautiful gifts this year from Powder & Jade! Make sure to check off all the women on your gift list this year by viewing all the jewelry from Powder & Jade and falling in love with each piece, like I did!! !